I’m becoming a bit of an unwilling “expert” at switching Web hosting companies lately. I left Host A and split those sites between Host B and Host C. I’m already having problems with Host B and considering finding yet another host. Oh, the drama of it all makes my head spin. Sure, there are good aspects of changing Web hosting companies. I mean, you might be moving sites to have access to more resources or because you’ll get better customer service somewhere else. But there are plenty of downsides to switching hosts too (as I’m so frequently discovering). Here are five of those downsides to switching Web hosting companies — things you might want to consider before making a move of your own. 1. Changing hosts is time consuming. I personally had a lot of sites to move, and I still haven’t moved a few of them. So changing hosts was extraordinarily time consuming for me (and having one account split between two new hosts meant the new host couldn’t just do a full import for me like they offered). I doubt this is uncommon in today’s age where people seem to have ever-growing stables of websites to their names rather than just one. If you do have only one, this might not be a big issue for you. Paint me green with envy. 2. It can cost you money. Obviously it’s going to cost you in the sense that you’ll have to lay out money with a new hosting company. But if you’re an independent professional like I am it can cost you in other ways. For example, I lost $2000-3000 during the week I handled most of my site moves — income that would have come in from additional client work lined up which had to be postponed until that drama was dealt with. I opted to take the solo route because of the complicated nature of the split I was handling. Of course I could have hired a professional to come in and do it for me, but that would still cost more money, and I’d still have to take time away from client work (losing even more) to fully explain how the site split had to happen. 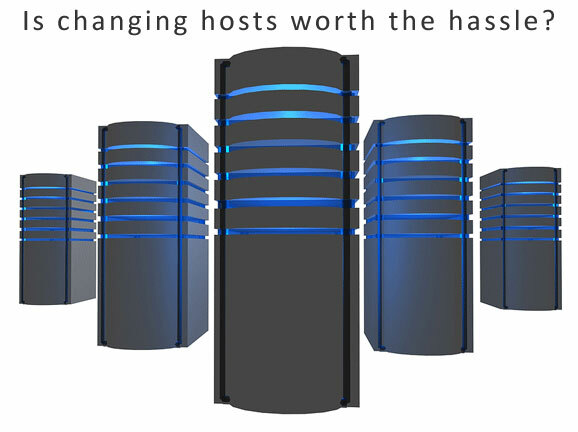 Have you personally had other costs involved in changing hosting companies? 3. You might not get what you expect. Let’s say you wanted to switch hosts for better tech support (like I did). Sadly it doesn’t matter how many referrals you’re given — things can still go wrong. That’s what happened to me with Host B. They came highly recommended by trusted colleagues, and yet it took less than a week for them to completely screw up and show their incompetence. Unfortunately there’s always a risk that the situation will be worse rather than better, so don’t jump to change hosts just because your current one upset you once or twice. Most probably will. No one wants their websites to experience downtime. And if you really know what you’re doing you might be able to avoid it. But with changing hosting companies comes the risk that your site will go down for a at least a little while as you hash out any last minute problems with the migration. 5. SEO pitfalls are a possibility. This is another potential problem with switching Web hosting companies that probably won’t affect most of you, but it could affect some people. If you keep your site as-is during the move, you probably won’t see drops in search engine rankings. But what if you decide to “clean up” your files and structure a bit in the process? If you make any changes to how your site is set up during that file move, your old URLs might no longer work, causing you to lose the corresponding backlinks and search engine rankings. If you decide to do this, only do it when you have enough time to create the necessary 301 redirects for all of your moved or renamed files and folders at the same time to avoid the problem. Fortunately not all of these downsides of switching Web hosting companies will be reality for all customers, and many are situations you can fix on your own. But in the end remember that your Web host is like a second home for your business — sometimes a move is for the better, but there are always risks. So try to minimize the number of times you have to switch hosts. Most host will do it for free in a timely manner. You just have to find the right host. Yep. I mentioned that in my first point actually. 😉 But the point is that it’s not always a straight move. In this example given many sites were moved, and being split up between accounts at several hosts. So a full import was not an option. There are many occasions where it makes sense to manually do the move yourself. Imports from the new host are more for folks who have a simple single site to move where there will be no changes whatsoever. But when it comes to growing your business, that’s rarely the case. Your article raises some very valid points and is important to present a balanced view to consumers. Hopefully, however for those that have to change hosts for various reasons there are a few good hosts left [ like ouselves of course – lol ] to look after them. But thanks for a good article – well done. I know it’s not a good idea to change your hosting but most times you have no choice left because of your web hosting provider . You can make the step to another company because you’re disappointed by the service of your former one . 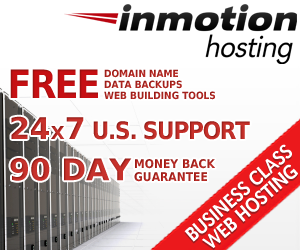 I don’t think someone would change his hosting provider just for a better price , my opinion . I recently found out that my web hosting provider (Yahoo) no longer supports websites built using Microsoft Frontpage. As it stands, my site is still fully functional and my search engine rankings have not been affected. The problem now is that I cannot publish any updates to my site and I’m worried about the site losing it’s high search engine rankings. I just bought Adobe Dreamweaver to rebuild my site and allow me to -process updates but I can see there is going to be a bit of a learning curve to get myself acclimated to using it and transferring my site to the Dreamweaver file. My thought process now is that I should change my web hosting provider and switch to a provider that will support Frontpage built sites so I can process updates and keep my site current. This would allow me time to learn Dreamweaver better and rebuild a new site off-line. I don’t think I have any other options at this point. Your feedback and thoughts on my plan would be appreciated.